New LED Lighted Button Head Bolts, with hex head opening, can be used anywhere accent lighting is desired. There are countless applications for accent lighting including hot rods, street rods, motorcycles, boats, ATV’s, RV’s, personal watercraft, pick up trucks, 4×4’s, 18-wheelers and even industrial applications. Map and gauge lights, indicator signals, step illumination, engine compartment lighting, running board, truck bed guard rails and dashboard accenting are just a few of the many uses for accent lighting. 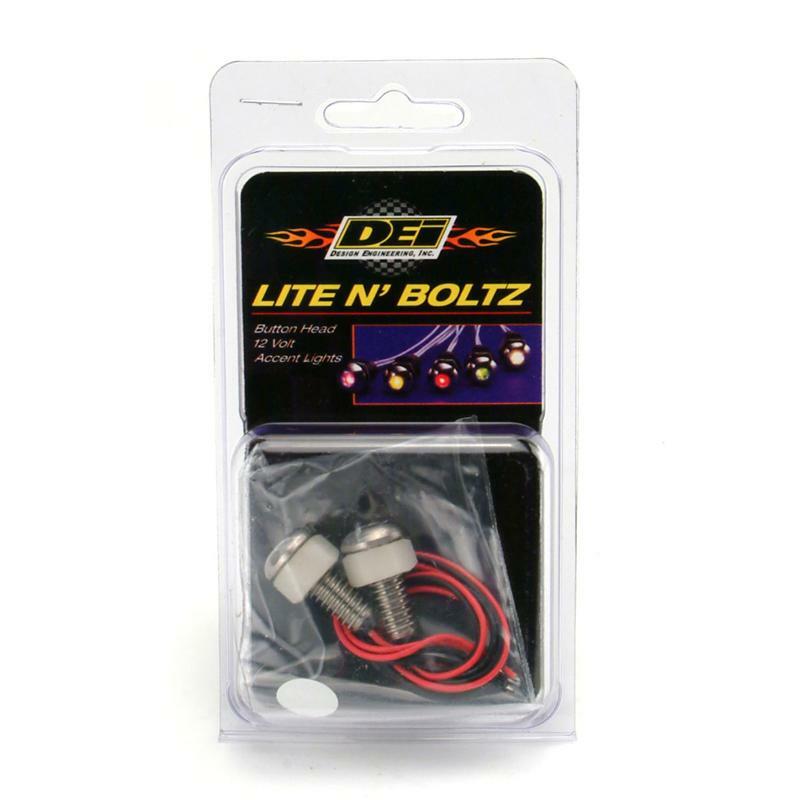 12-Volt Lighted Button Head Bolts contain two lights per package, measure 5/16” x 3/4” and are made from high grade stainless steel, polished to a mirror-like finish and available in six vibrant colors.